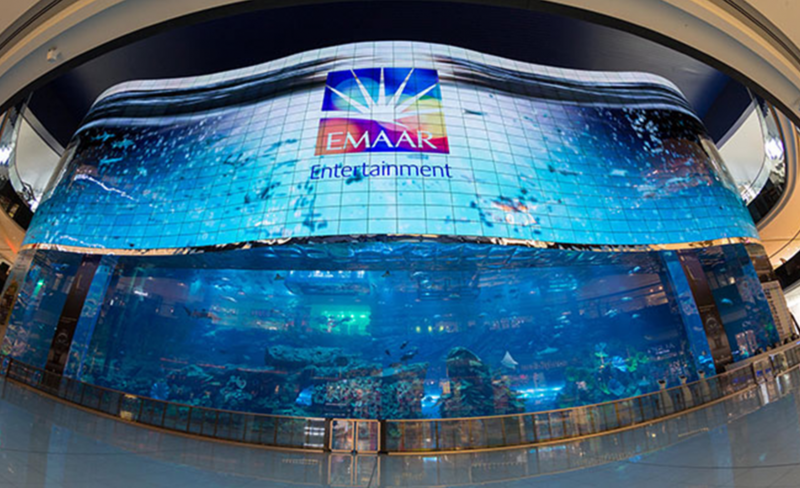 Emaar Entertainment were looking for an innovative and engaging way to promote the launch of their VR Park brand and announce the arrival of AR / VR based experiences as an exciting new form of entertainment for a mainstream audience. 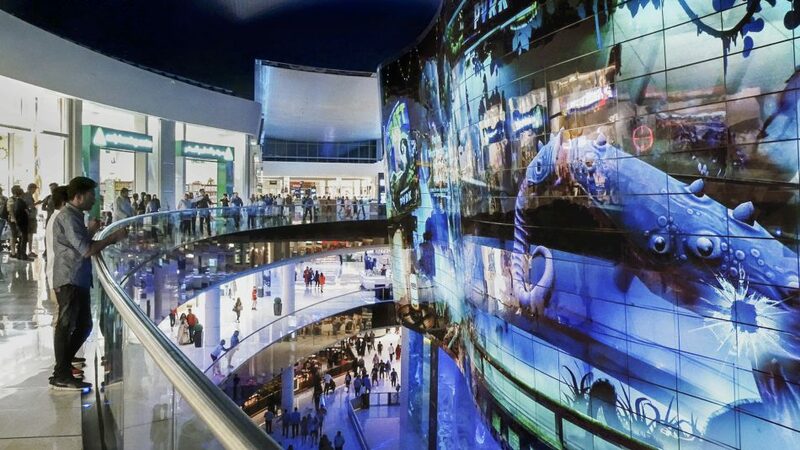 The brand was particularly interested in the possibility of using the giant OLED screen (situated above the Dubai Aquarium & Underwater Zoo within the mall) for a branded interactive experience. 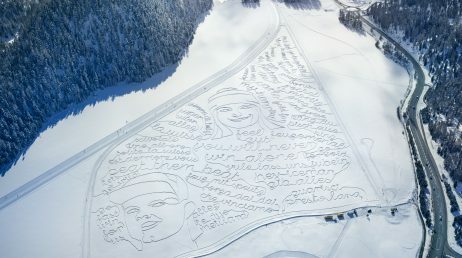 Prior to this activation only linear/ non-interactive video content had been shown on the screen which considering it’s prominent position, two Guinness world records (Highest resolution video wall and Largest high-definition video wall) and the huge audience in the mall, felt like a missed opportunity. The game featured characters from one of the biggest attractions of the new VR park, Red Interactive’s “The Raft” (a game where players go on a cinematic adventure down a river and work together to protect their raft from dangerous creatures). Passersby could connect their phones through WIFI and in a multiplayer extravaganza, shoot alien enemies in real time. Each player was awarded a crosshair color, which was shown on their mobile device and on the giant screen. 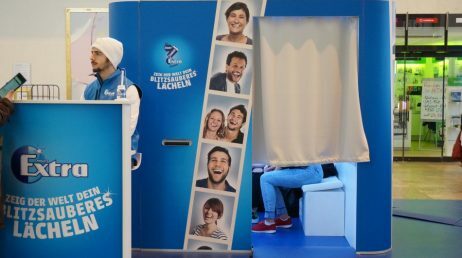 They could tilt their mobile phone devices to aim at alien enemy characters that animate on top of a live video feed of the mall—as if they were invading the physical space. There’s a simple tap to shoot and reload mechanic, and players teamed up to combat the aliens or focus on earning a leaderboard-topping score. 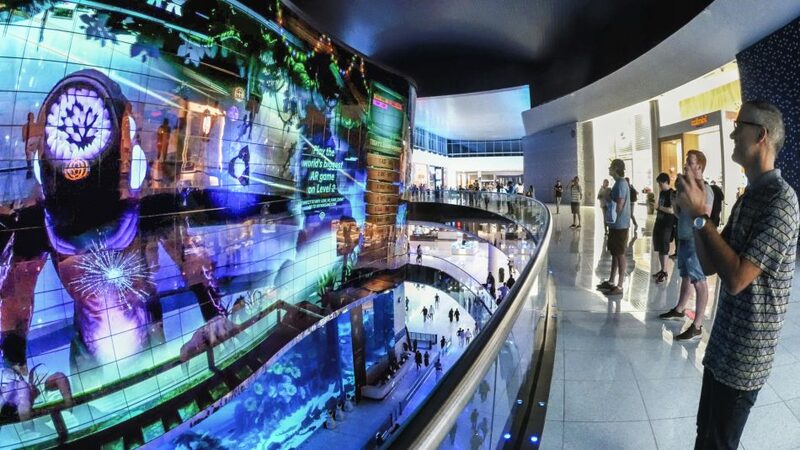 The production timeline was a mere seven weeks, and one of our biggest challenges was the design of a technical ecosystem—the numerous hardware and software elements had to work together harmoniously and deliver a seamless gaming experience to mall visitors. The ability to play a “shoot ‘em up” style multiplayer game on a screen of this scale is a world first activation of its kind. 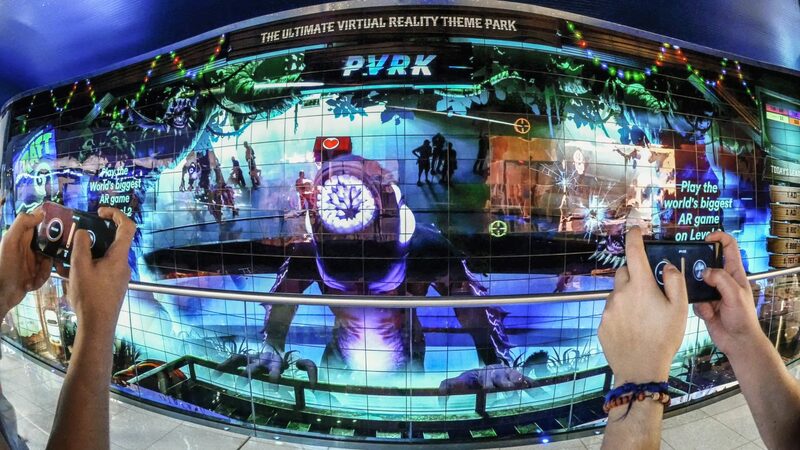 For the majority of visitors to The Dubai Mall, this activation was the first touch point with Emaar Entertainment’s VR Park brand and it needed to make a high impact introduction to the VR theme Park as a groundbreaking entertainment destination. 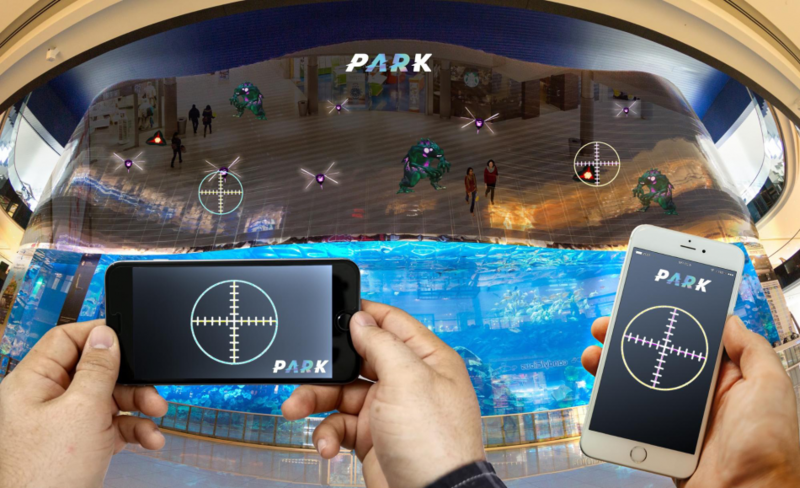 The innovative technical solution behind the game allowed the brand to leverage the unprecedented scale and commanding position of the World’s Largest OLED Screen and communicate the VR Park brand through an interactive AR gaming experience.